I found that when my little one started eating solids, cereals were a big part of that journey. If you have a baby bullet or similar blender with a milling blade included you can absolutely make your own rice cereal, oatmeal, barley and more for your baby. 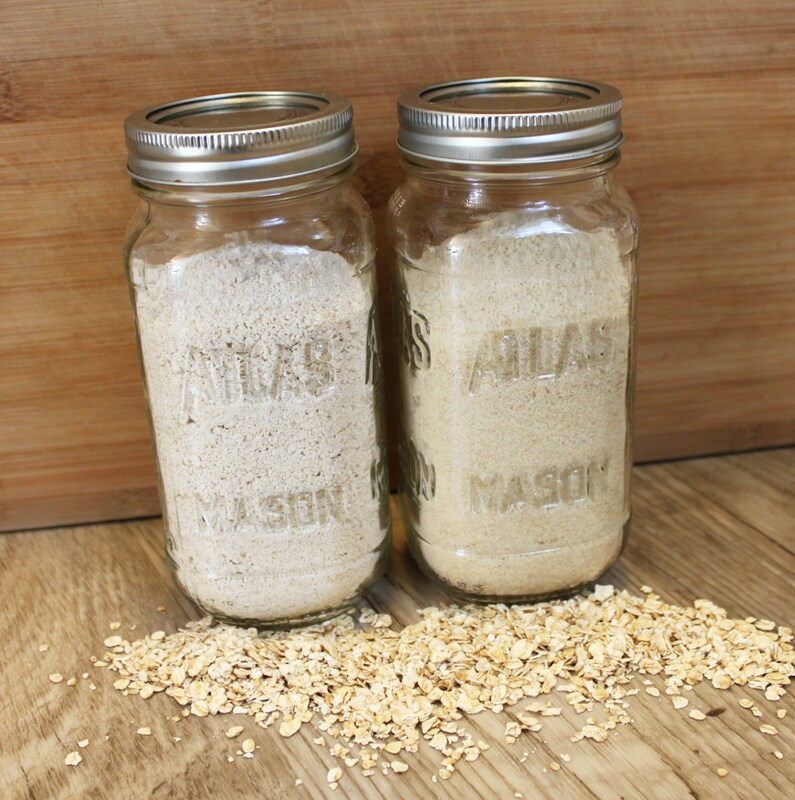 I like to whip up oatmeal and brown rice cereal and store them in separate mason jars for easy access in the morning and throughout the day (they are great additions to other veggie, fruit and meat purees). Blend in a blender with a milling blade in small batches until a powder forms. I use a funnel to put the cereal into the mason jars, pop on a tight lid and store in a cool dry place. Kamut – High energy grain, good for those who have allergies or are sensitive to regular wheat. In a saucepan bring 1 cup of water to a simmer over medium heat, add 1/4 cup of grain of your choice and whisk constantly to avoid lumps. Stir until water is just absorbed. I like to add some fruit puree and yogurt and mashed avocado to these for my little man. A bit of prep. time making up these jars goes a long way! Hope your babes enjoy them!